Kuzoozanpo la (hello) from Paro Bhutan! Imagine driving for hundreds of kilometers on a road so winding your speed averages 30 kmph. The drop-offs are heart-stopping. There are no guardrails. It is the only east-west highway in the country. It hugs every mountain curve. There are no flat or straight places. The road is so narrow, opposing traffic is often in your lane. 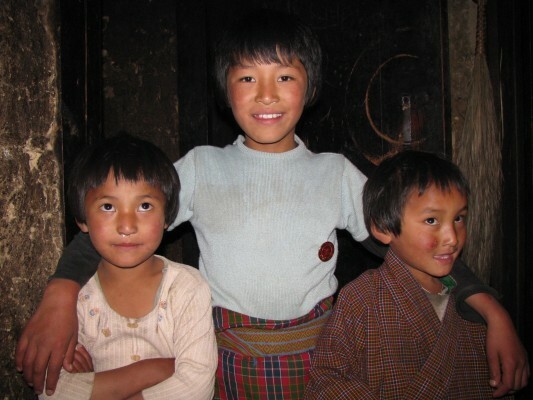 You reach the village of Shingkhar, the easternmost village in central Bhutan, altitude 11,500 feet. Nothing has changed here in hundreds of years except that recently, cell phones have brought communication from the outside world. There is no electricity. Heating is by wood burning stove. Warmth in your bed is provided by hot water bottles. Early in the morning, you awaken to have a hearty breakfast of porridge, eggs, toast and tea. 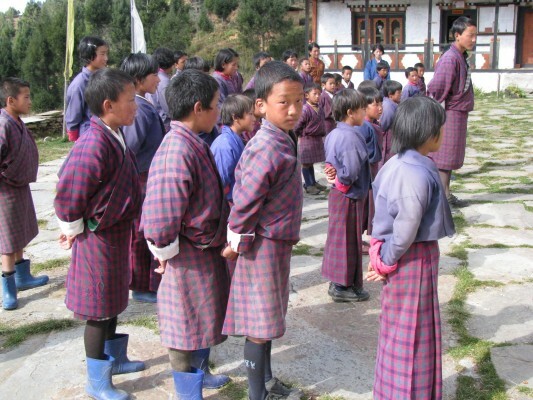 You walk to the local elementary school and watch the children in their traditional dress of ghos and kiras sing at assembly. Your daughter reads to a class from books she has brought from home to give to the children. 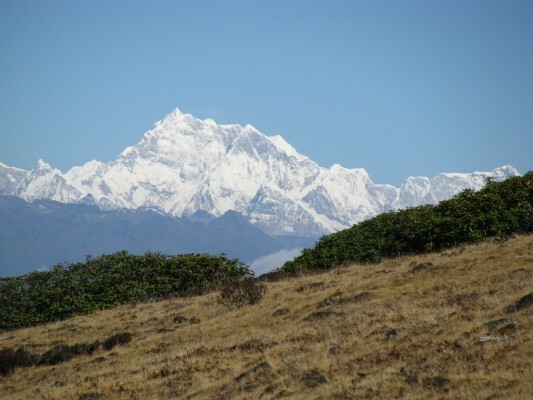 From there, you set off on a trek through the village and up into the inner Himalaya mountains. The trek is steep. The horses carrying the tents, food and supplies have a hard time with their footing. You arrive at the pass, the tents are pitched, the fog rolls in. It is very cold. There is a bonfire and dinner, stars in the heavens like you’ve never seen before. You are at 12,700 feet. You crawl into your sleeping bag, difficult to find any warmth. You are awakened at 3AM. You have breakfast and set off at 4AM with your flashlight to be at the summit at sunrise. You trek through a frozen rhododendron forest. It is 0 degrees C; 16 degrees F. You reach what feels like the top of the world. You can see all of Bhutan from the 14,000 foot summit. Layer upon layer of mountains: the lesser, inner and greater Himalayas, rising to over 28,000 feet. The sky is cloudless. It brings tears to your eyes. You are so grateful to witness this; you feel lucky to be here. The trek down is steep and beautiful. After 7 hours, you return to the earth. Another day, you leave from the village of Phobjikha on an even windier unpaved road. Your speed is steady at 5 kmph. You arrive at the trailhead and trek 5 hours to the summer home of a former government minister. Elegant and fit at the age of 69, Mr. Lahtu invites you into his home as a welcome guest. No western traveler has ever been to his home or his village of Khotokoa. He gives you delicious food and homemade drink. You meet his grandchildren who are beautiful and full of joy. 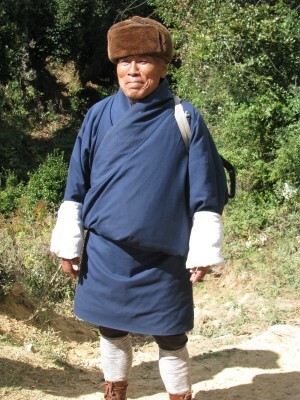 You go back to your tent satiated and amazed, once again, at your good fortune to be experiencing Bhutan from the inside. There is so much more to tell. But I have given you the essence. It is a place like no other.